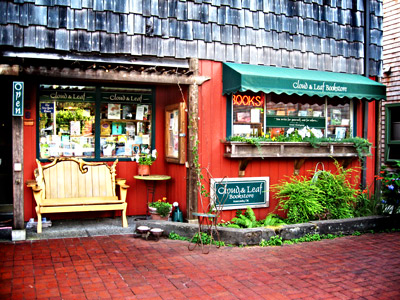 The Cloud & Leaf Bookstore in Manzanita, Oregon. 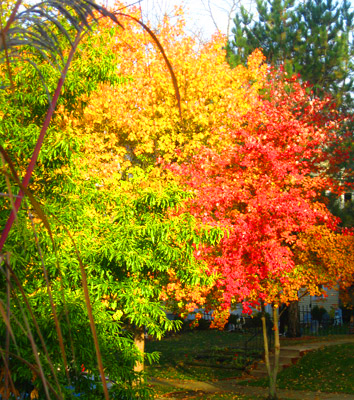 Brilliant rainbow of autumn leaves, all on one tree. 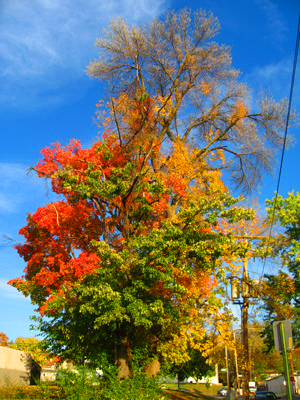 The view from my front porch in the Autumn.